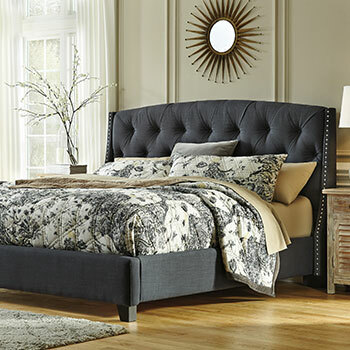 Artfully crafted headboards, stunning and functional media chests, and a wide variety of elegant bedding options are musts from our selection of bedroom furniture. 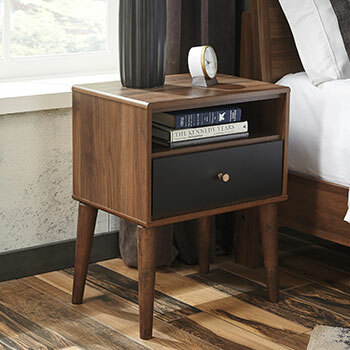 Shop bedroom essentials like nightstands, armoires, bedroom vanities, and more at competitive prices. 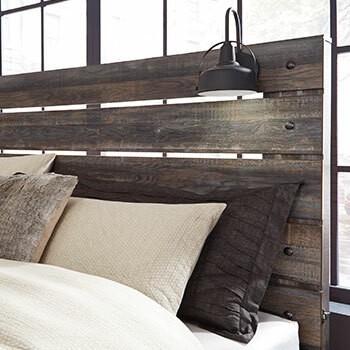 Bring aesthetic flare into your bedroom with unique furnishings from our online store and our brick-and-mortar locations. Shop our selection of king beds, queen beds, and California king beds and bedroom sets by big name brands you know. 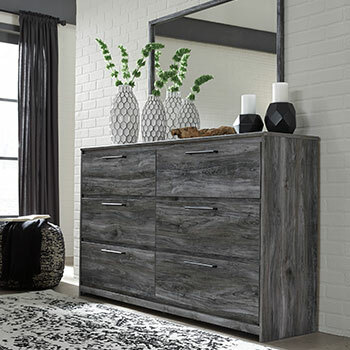 Enjoy low prices on high quality bedroom furniture designed to please the eye and the body. We offer dozens of bedroom sets to fit your exact desire. We have bedroom dressers for sale at low prices. 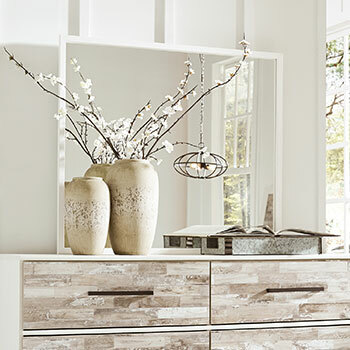 Our curated collection includes models featuring rich finishes, top quality hardware like brass and nickel, and ample storage space. 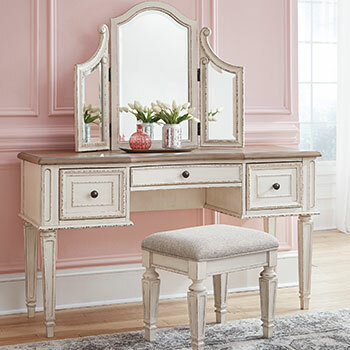 Go classic and elegant with a traditional dresser in a dark finish, or dip into the modern world with the clean and appealing look of a sleek dresser & mirror combo. Vanities are perfect for preparing your look before you go out but they also function well as space expanders. 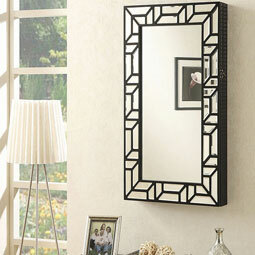 Adding a vanity featuring a mirror to your bedroom opens the room, giving it a more spacious feel. 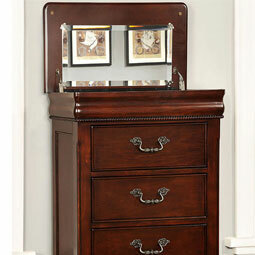 We offer a vast selection of exquisite vanities for your bedroom in traditional and contemporary designs. 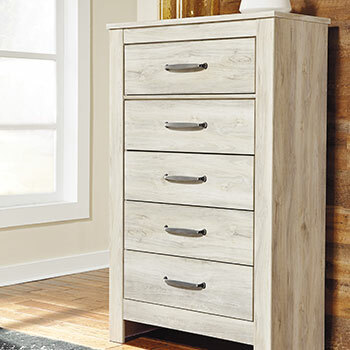 We offer a collection of country, mission, and traditional style media chests to accentuate your bedroom with a functional and flattering addition. Put your TV on a pedestal, and a beautiful one at that, to elevate your bedroom to a new level of functionality with a wonderful look for a low price. Save big on discount bedroom furniture at Sell a Cow. 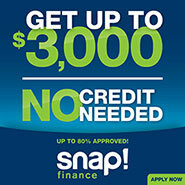 Shop online, or visit our brick and mortar furniture showroom store in Des Plaines, IL today. Our customer service team is waiting to help you make the bedroom set purchase of your dreams.